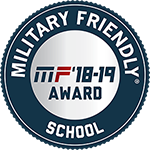 We understand the unique needs of our active duty, reserve, guard and veteran students. It is our mission to help you reach your goals. The Office for Military and Veteran Students and the Veteran Center are located in Libermann Hall - stop by if you are on campus or call 412.396.5366 or email if you are an online student. Find the information you need about using your military benefits. Learn about the various offices around campus dedicated to your academic and personal success. Start earning your degree with Duquesne University wherever you are in your military career, from anywhere in the world. Spend time on campus with over 85 undergraduate and 90 graduate programs to choose from. 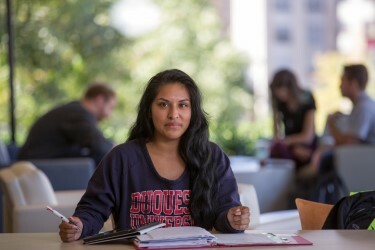 "From the moment I applied to the moment I was accepted, I received continuous suport from Duquesne's faculty and staff. This had a significant impact on making my transition from active duty to student life a smooth one."